I have a few days left to catch up on my nonathlon scores. 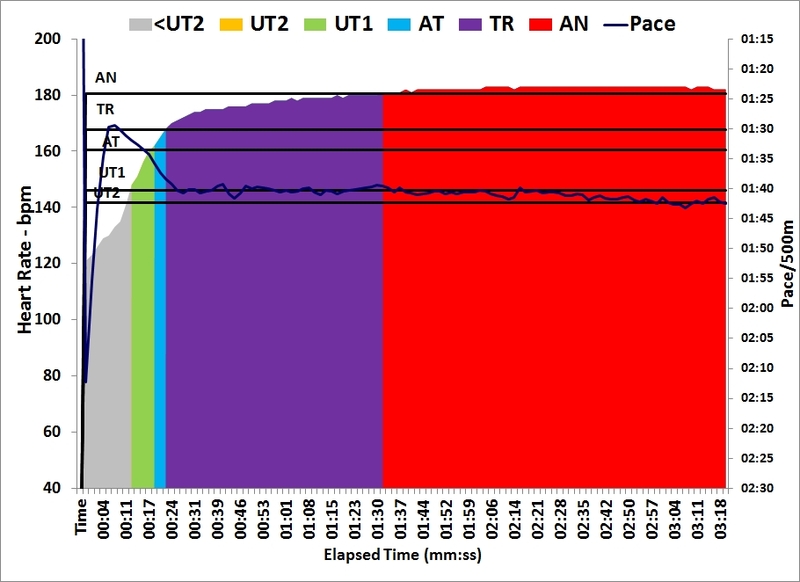 For those who don’t know, the nonathlon (http://www.nonathlon.com/) is an annual erg competition where your performance is measured against an age and weight determined standard. In this way, everybody can compete against everybody. Also, it’s a good way to make sure you make do your tests on all the Concept2 ranking distances. Unfortunately, today was a long day with business in Prague. Had to get up at 5:30 for what ended up to be a 3 hour drive (doing the final 10km in a nerve wrecking 40 minutes). Then a full day of business meetings, followed by a 3 hour drive home (doing the first 10km in 30 minutes because of an accident) through pouring rain with an outside temperature of +3C, lots of traffic in hilly countryside on a bumpy highway with lots of road construction. Then had to bring the company car back to the office, get my own car and drive home. I was ready to sit on the sofa and drink a beer. Well, I might just as well do a quick row before that. Looked up my PB (1:31.6 from 2011/2012). When I am ready to do short sprinty work, I am usually in full OTW season swing, so I rarely do these on the erg. Well, this year I want a >900 nonathlon score on all ranking distances, so I better get going. Not sure where I would end up, but decided to just fly and see and see where I would die and how far I would have to limp home. Warming up consisted of a brisk 2000m with a 2x 10 stroke intervals (at 1:50 and 1:40) and a 5 stroke interval at 1:33. Dialled up the 500m. Didn’t give it much more thought, did a race start and off we go. Now keep hanging on below 1:30 as long as possible. That turned out to be around 300m. Then the average pace started to creep up but until the last stroke I believed it could be a PB. It wasn’t to be: 1:31.7. One tenth of a second above. Still think I deserve the beer (and the sofa). The result made me think about how to do the 1km attempt on Thursday. Could I do a 500m in say 1:33, then follow with a 1:43 500m and still end up with a good 1km score? I guess a better way is to do 10 strokes full out, then settle for PB pace.